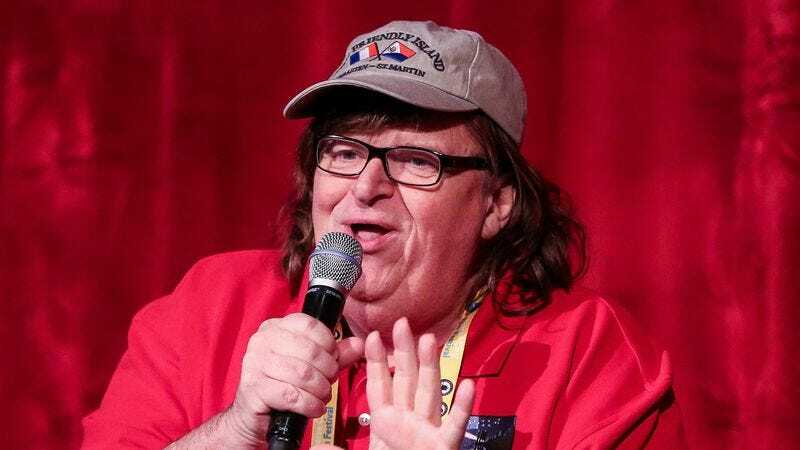 Michael Moore revealed on Twitter Monday evening that he’s been furtively working on a film about Donald Trump, and will be debuting it in New York tonight. The documentary, Michael Moore In TrumpLand, will premiere at 9:30 p.m. ET at the IFC Center in Manhattan. Tomorrow, it will begin weeklong runs there and at a theater in Los Angeles’ San Fernando Valley, according to a press release. Deadline reports that the film will also be made available on iTunes so the rest of the country can see it. The release reads, “You are invited to see the film Ohio Republicans tried to shut down,” and explains that Moore “dives right into hostile territory with his daring and hilarious one-man show, deep in the heart of TrumpLand just weeks before the 2016 election.” Moore intended to put on a performance at the Midland Theatre in Ohio earlier this month, but was not permitted to do so. The reasons he couldn’t were a matter of dispute between the venue and the director. Moore has been a harbinger of doom when it comes to Trump. Back in July he published a list of five reasons the Republican nominee is bound to win the presidency.